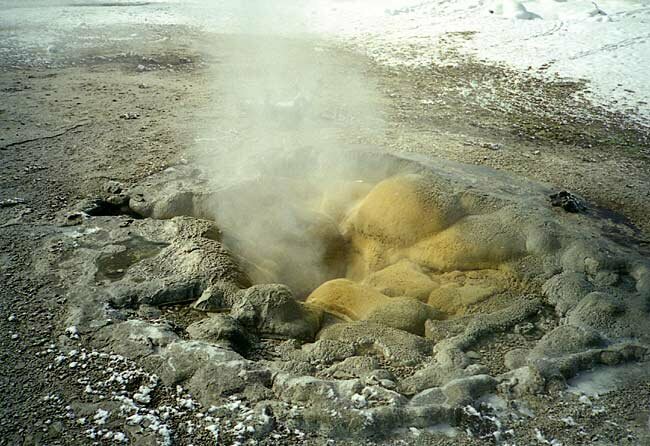 Here's a close-up of one of those steaming hot springs. This one is obviously not as hot or steaming as much as others. The mold and algae that grow as a result of the heat and moisture make for interesting, if not pretty colors.